Some managers see employees’ family concerns as distractions that take their focus off of completing tasks, meeting deadlines, and boosting productivity. However, new research shows that a desire to help one’s family may actually improve the motivation and energy levels of workers, helping them succeed even when their daily tasks are mundane or frustrating. And that could mean that companies that help their workers strengthen family bonds—by offering flexible work options, for example—will help both their employees and their bottom line. The research behind these conclusions is discussed in the paper, “When Job Performance is All Relative: How Family Motivation Energizes Effort and Compensates for Intrinsic Motivation,” published in the Academy of Management Journal in April 2017. The study was conducted by Jochen I. Menges of the WHU-Otto Beisheim School of Management; Danielle V. Tussing and Adam M. Grant, both of the University of Pennsylvania; and Andreas Wihler of the University of Bonn. The researchers wrote that many studies support the notion that, when work is interesting, employees are motivated to perform better. One of those values may be supporting one’s family. This desire to take care of a spouse and dependents appears to be especially motivational when employees don’t necessarily love what they are doing at work, the researchers found. To test this hypothesis, they studied workers in a Mexican company that specializes in processing coupons. Employees there spend hours every day scanning coupons that are shipped to Mexico from U.S. retailers for accounting purposes. The researchers used a survey to measure the employees’ motivations, then asked them to fill out a diary about their stress and energy levels before starting their jobs for 10 working days. They also collected objective job performance scores for each employee during the study period. In other words, the report says, the survey, daily diary, and performance measures all suggested that family motivation offset the uninteresting nature of the work, leading to enhanced energy for employees. And that finding could have an impact on how businesses approach the always-present problem of keeping workers engaged and productive. For example, instead of focusing on monetary incentives, “strategies to boost family motivation may increase worker performance without detrimental side effects,” the report says. If leaders create opportunities for employees to experience that family motivation, the report says, it may facilitate higher levels of job performance. And those benefits may also apply to people who have more complex and rewarding jobs, as opposed to only those facing mundane and repetitive tasks every day. 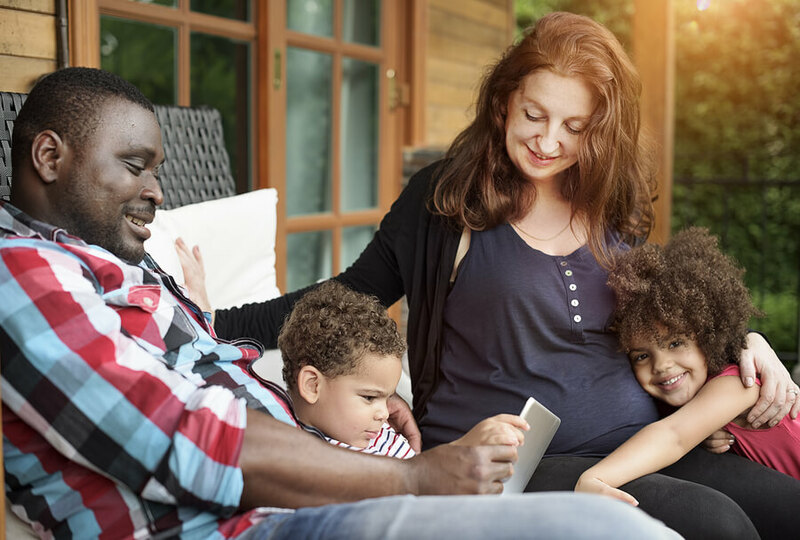 This study provides yet another example of the importance of work-life balance and flexibility when it comes to bolstering both family ties and productivity. It’s the kind of information that should motivate employees and employers alike to build flex work plans. Does this report surprise you? How have family ties motivated you to work harder? What do you think companies should do to further promote that kind of motivation? Please share your ideas in the comments section. Involving family keeps organisations and workers accountable to each other, which is a good thing… Boundaries around work however are imperative…The family must NOT become another ’employee’ or unwilling ‘volunteer’ within an organisation to boost ‘company ego’… ‘Look at us…We care about family!’ Meanwhile the employee is not only devoted a full week’s work (or more) to their job, but is also now not having real down time by spending more time at work…’socialising’…. There must be time away from an organisation NOT simply enlarging the organisational ‘family’ as the primary focus, particularly in two parent working households. How much is too much ‘involvement’ in work…? This question must be answered by everyone…employers, employees AND their families…otherwise assumptions will harm the very people that workers claim to be ‘working for…’..There must also be a differentiation of relationships. Work relationships that become friendships, when time is so rare and precious, have the capacity, when unchecked, to smother primary relationships. Yes, they are valuable for being able to cope with work stresses and good working relationships are important, but workers must never lose sight of perspective in all their relationships and regular ‘check ins’ important to ensure that workers are not exploited BECAUSE they are being ‘given’ flexibility and the like. I have yet to encounter a single tombstone inscribed with the words…”Beloved colleague….” NOT ONE!!!! !..